Yes I am going there. New Year Resolutions. But it is not so much resolutions as it is a focus. I have been thinking quite a bit over the past few weeks at what I want for life in general, for my pugs and for my blog. I read articles about New Year Resolutions and how they are a waste of time. You know the sort. But here’s the thing, if it weren’t for a new year and the idea of New Year Resolutions, would we really stop and think about how things have been, where we want to go and what changes we want to make? You don’t have to stick to them. Most of us don’t. Maybe that’s because they are resolutions. But there is something I keep seeing about a new year. Not to make resolutions but to choose a focus word. Yeah I know, most of you are probably rolling your eyes right now. But the reason I am writing about this is because maybe, just maybe, if I put myself out there I will stick to my focus this year. So what is my focus word for 2018? Health! When I thought about what I want for my life, for my pugs and for my blog, I got the same answer. I want to focus on health. For myself, I want to feel better. I want to have more energy to spend my spare time doing activities with my pugs that don’t involve sitting on the lounge. It won’t be easy but I want to reclaim my health. Now for the pugs, I want to focus on their health. I want for Ref to no longer have itchy ears and paws. I want Serina to stay skinny to make life easier with hip dysplasia. I want them to be the healthiest versions of themselves so that they live pass the average life expectancy of a pug. I want them to live well past the age of 12, even 15. And why shouldn’t I want this. Every pug parent should want this. And that’s where my last focus comes into it. You! I want you to want your pug to live the longest life possible. 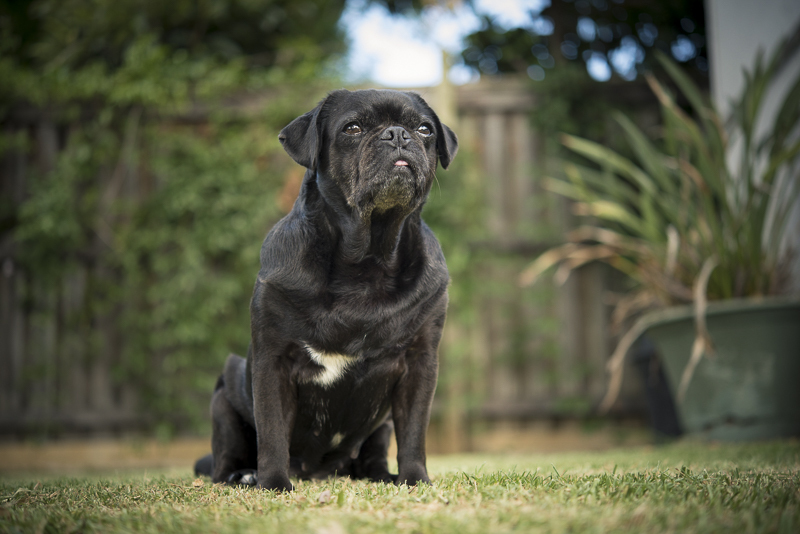 I want you to focus on your pug’s health so they can live that long life. I want to see that life expectancy go from 12-15 years to 15-20 years. I believe it can be done. It starts with education of the breed. Tips for health + wellbeing. Diet management. Training. And a complete focus on health. That is what I want for my blog in 2018. 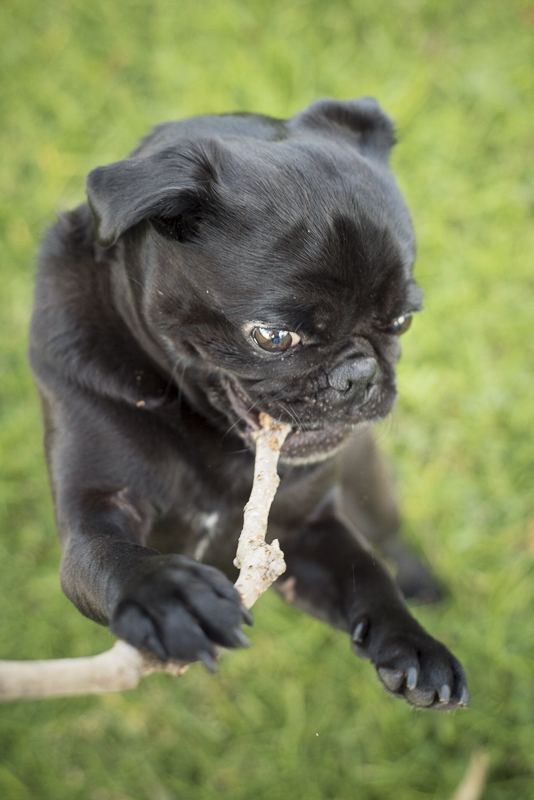 A focus on health so I can help you and your pug live a better life. So this year, you will see more health + wellbeing posts coming your way. I want to share with you what I have learnt about life with pugs. 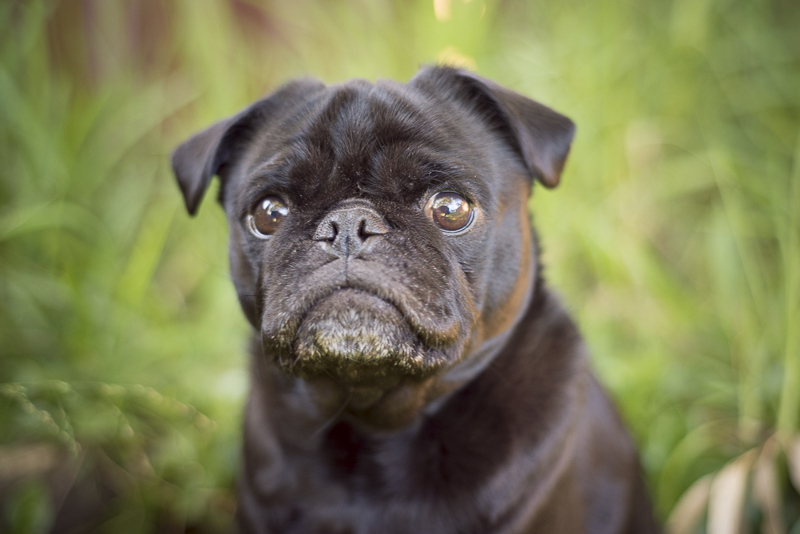 I want to bring in the experts on topics that I don’t know enough on so you can get all the information you could possible need for living a better life with pugs. I have my tools to get me going too. My planning has already started. I have my Ruthless Photos Diary to meal plan for myself. 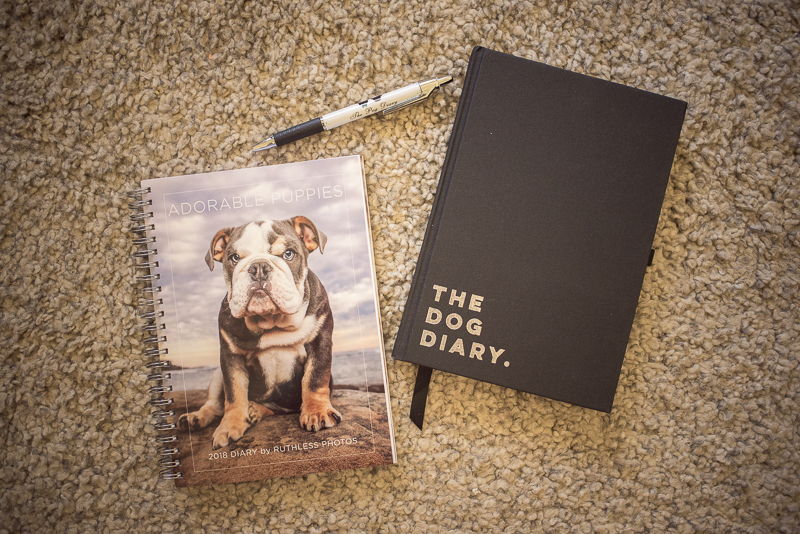 I have The Dog Diary to write down the pug’s health journey. I have Evernote filled with ideas for the blog. I am ready to focus on health in 2018! What will your focus be in 2018? Will you be joining myself on the health journey for human and pug? My Boris lived a healthy 16.5 yrs and passed naturally at home on his own terms. If I knew what I know now when he was young, I think he could have made 18 easy. 16.5 years is pretty good. It’d be amazing to have them live to 18 wouldn’t it. I’m sure your knowledge will be of great benefit to another dog.